You've seen them everywhere, even Starbucks. 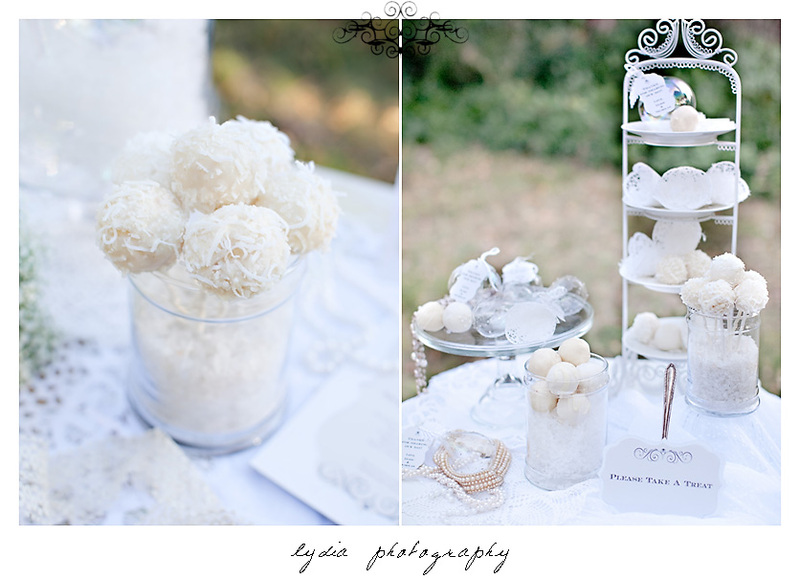 Cupcakes have moved over to include its even smaller sister at weddings--the cake pop! 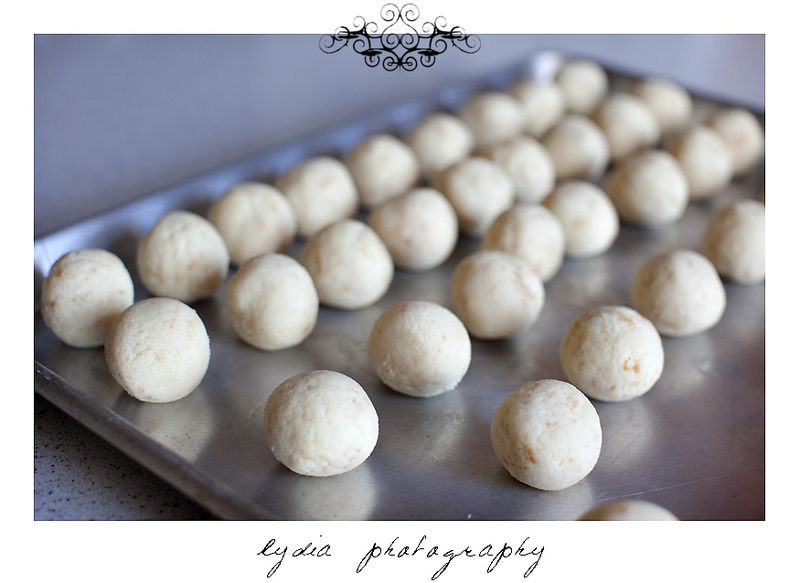 They're so simple to make and fun to customize for your theme! Bake the cake and let cool. Use a fork to crumble the cake and mix in the tub of icing until you are able to form the mixture into balls (you may not need all the icing). Refrigerate balls until firm. Dip lollipop sticks into melted chocolate and insert into cake pop ball. Dip cake pop into chocolate and use spoon to coat the entire ball. If adding any decorations, sprinkle on quickly before chocolate harden then let dry completely. Take pictures of your hard work and enjoy! 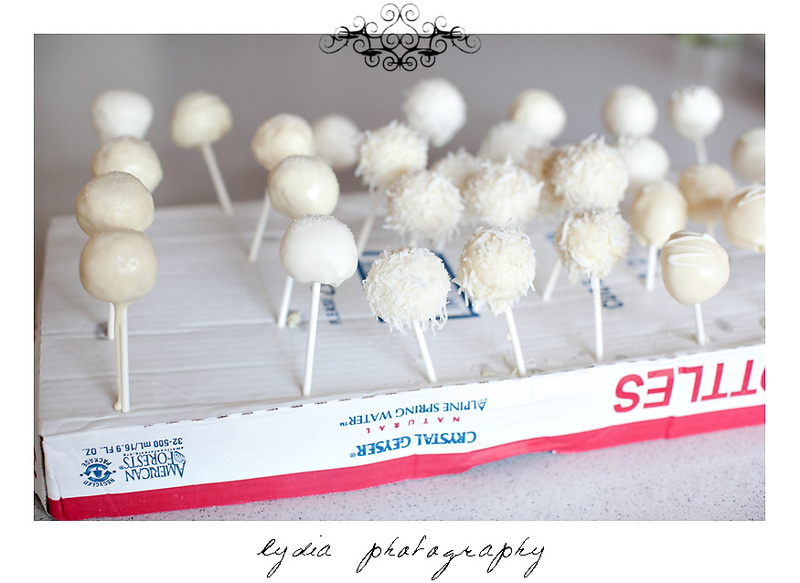 I used different shades of white chocolate, coconut, sprinkles, and kosher salt to decorate my pops! The easiest way to let them dry was to punch holes with a screwdriver in a cardboard box. So many ways to display them! I filled vases and jars with rock salt to continue the winter white theme. Very beautiful Lydia. Love the Featured Wedding!